New Les Paul Standard, bottom left, Les Paul Special and Les Paul Junior. Since 1894, the GIBSON story has been central to the development of sound and the guitar itself. In 2019, after more than a century, GIBSON artists, players and fans will experience the all American-made instrument brand rejuvenated. GIBSON announced today, January 14 it will unveil a new era in product evolution and brand building with multiple experiences at NAMM 2019 next week in Anaheim, California. The GIBSON NAMM 2019 experience will feature daily events from artist performances, Q&A’s and new product debuts at the GIBSON space in Room #207, (daily 11-5 p.m.). 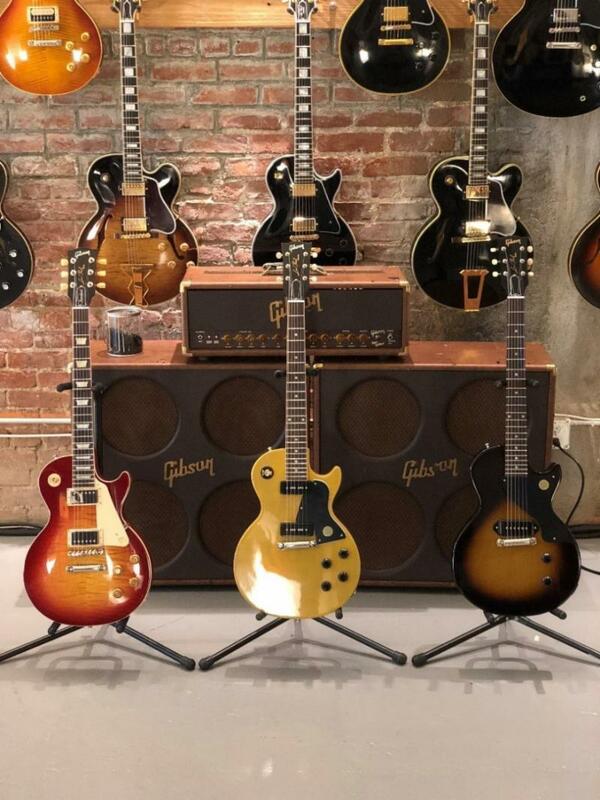 GIBSON’s events will start with a media preview and Custom Shop preview sale on January 23, 2019 and an opening party will launch January 24, 2019 at City National Grove of Anaheim with live performances from Billy Gibbons, Nancy Wilson, Peter Frampton, Black Pistol Fire, Cam, Jared James Nichols and more. GIBSON will continue to closely collaborate with and service its legacy roster, at the same time looking to the future with instruments that will nurture new players across generations, genders and genres. Guiding the iconic brand into this fresh era is a newly-appointed leadership team of global professionals, headed by President and Chief Executive Officer James “JC” Curleigh. Curleigh brings with him decades of experience in building world-class brands, as well as a player’s passion and reverence for the guitar. At the core of that vision is GIBSON’s unrivaled share of sound--the reach and influence of the brand’s legacy and instruments. And it is that reach and influence that to this day inspires countless players in bars and clubs and bedrooms across the globe. This involves GIBSON looking back as much as looking forward. From new, historically accurate legacy models to contemporary updates and the renewed commitment to additional brands under the GIBSON umbrella, including Epiphone, Kramer, Steinberger, KRK Systems, Cerwin Vega, and Stanton. “It all starts and ends with the creation of compelling product,” Curleigh said. "Our new classics are true classics, and our modern guitars will provide contemporary solutions. We are also excited about the progress we have made on Gibson acoustics, Epiphone expansion, and KRK innovation." Gibson Brands, the world’s most iconic guitar brand, has shaped the sounds of generations of musicians and music lovers across genres for more than 100 years. Founded in 1894 and headquartered in Nashville, TN, Gibson Brands has a legacy of world-class craftsmanship, legendary music partnerships and progressive product evolution that is unrivaled among musical instrument companies. The Gibson Brands portfolio includes Gibson, the number one guitar brand, as well as many of the most beloved and recognizable music brands, including Epiphone, Kramer, Steinberger and Gibson Pro Audio division brands Cerwin Vega, KRK Systems and Stanton. Gibson Brands is dedicated to quality, innovation and sound excellence so that music lovers for generations to come will continue to experience music shaped by Gibson Brands. Learn more at gibson.com and follow us on Twitter, Facebook and Instagram.